AZAL Azerbaijan Airlines Azerbaijan Airlines, also known as AZAL, is the flag carrier and largest airline of the country of Azerbaijan. Based in Baku, adjacent to Heydar Aliyev International Airport, the carrier operates to destinations across Asia, the CIS, Europe and the USA. 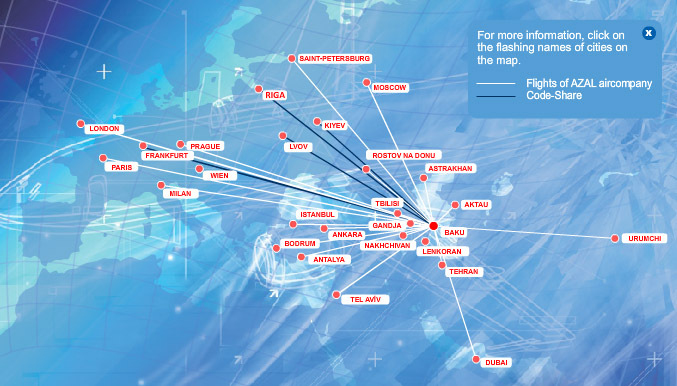 Azerbaijan Airlines is a member of the International Air Transport Association. The airline was founded on 7 April 1992 as the first national airline established after the country gained its independence.